Writing a great song is the key that unlocks the door to a career in music. With 40+ years of experience in the music industry, Judy Stakee - former Sr. VP of Creative at Warner/Chappell Music who signed and worked closely many of today’s most acclaimed artists and songwriters (Sheryl Crow, Katy Perry, Michelle Branch, Gavin DeGraw, Jewel, Joy Williams, John Shanks, and Julian Bunetta) - knows what it takes to write a great song and get it heard. You will be given the necessary tools for developing your perspective and telling your story through song, as well as how to navigate the elusive music industry. By the end of this process, you’ll have a solid foundation to support you at every stage of your career. 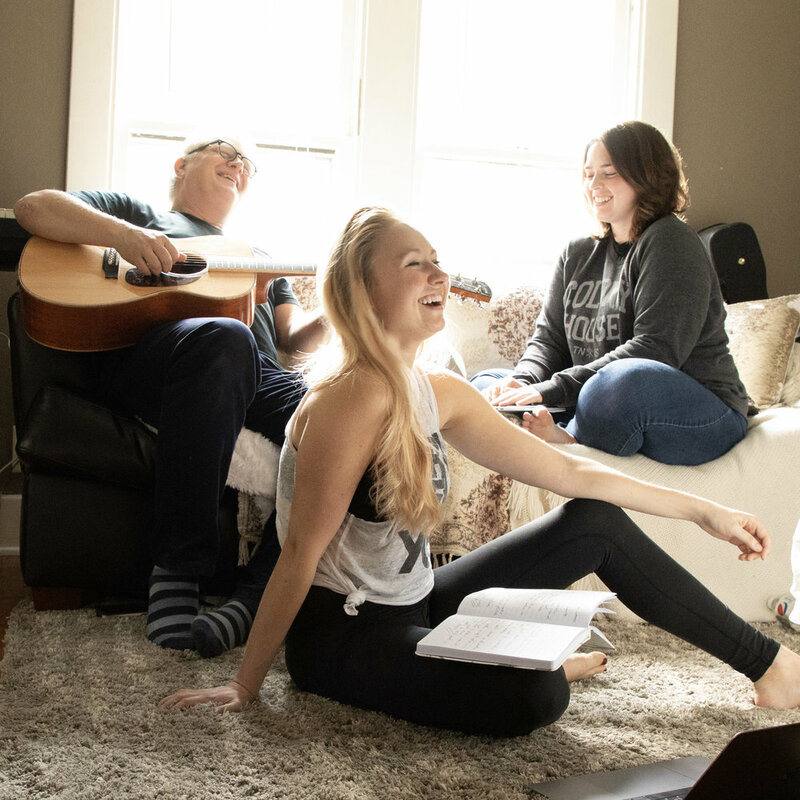 On the retreat, you’ll make new friends and professional connections that can help you take your songwriting career farther than you can on your own. 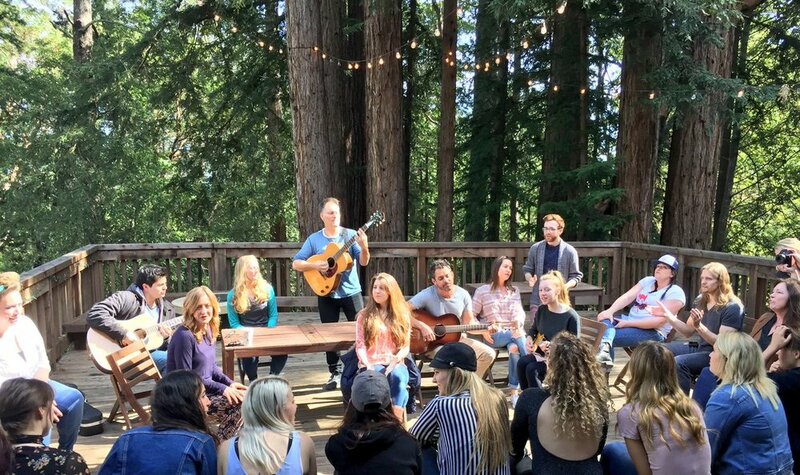 After the retreat, you’ll be plugged into our alumni network of 500+ songwriters and artists from around the world, giving you songwriting connections wherever you go. Most hit songs have 3+ cowriters on it. That’s why each day Judy assigns you to a group of songwriters. 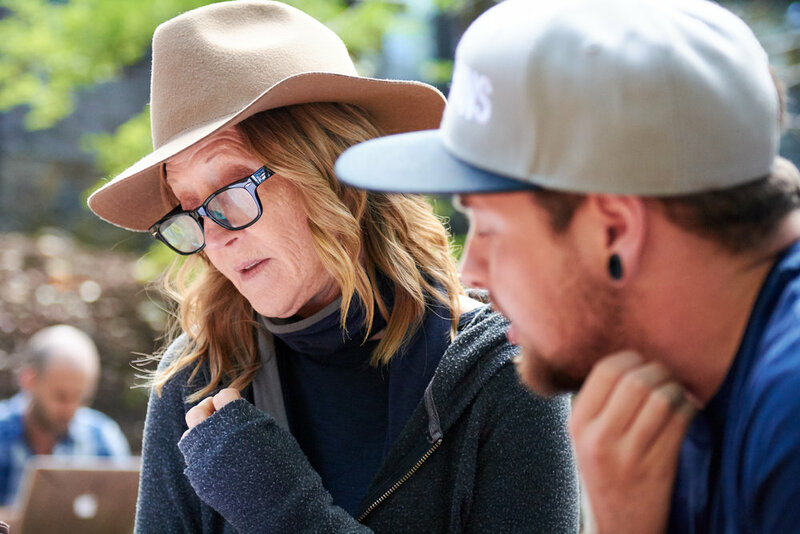 You’ll be challenged to work with your fellow retreaters to write for radio and film/TV, pushing you to grow as a co-writer. You’ll own split rights to all your songs, and walk away with live performance demos of each co-write. Our Nashville retreat is only 25 minutes away from downtown at Hachland Hill Retreat Centre. All meals will be catered by an on-site chef that prepares each meal using fresh, organic, locally-sourced produce that will properly nourish the body while simultaneously satisfying the tongue. Writers are responsible for getting to the retreat center, but once you arrive to the retreat center, everything is taken care of for you. If you’re flying in, the closest airport is Nashville International Airport (BNA), which is only 30 minutes away. The address and details of the retreat center will be provided to you upon acceptance. *Interest free plans are available for Early Bird and I Want To Write plans. Judy personally reviews all applications before acceptance letters get sent. Whether you are accepted or not, someone from her team will send you an email to let you know. We accept songwriters, ages 14-65. If you are under 18, your parent or guardian must provide written permission for you to attend. It's recommended that you bring your own instrument. If you do not play an instrument, please note that in your application and we will assign you to co-writes accordingly. No, you will need to cover your own travel to and from the retreat. However, we do provide travel and carpool assistance by helping you coordinate with your fellow retreaters. Each retreat center is very easy to get to, no matter where you're traveling from. I really want to come, but I can't afford it. What are my options? By applying early, you'll be able to take advantage of one of our financial plans. A down payment is required to secure your spot, but you can pay the rest in installments to break up the payments. 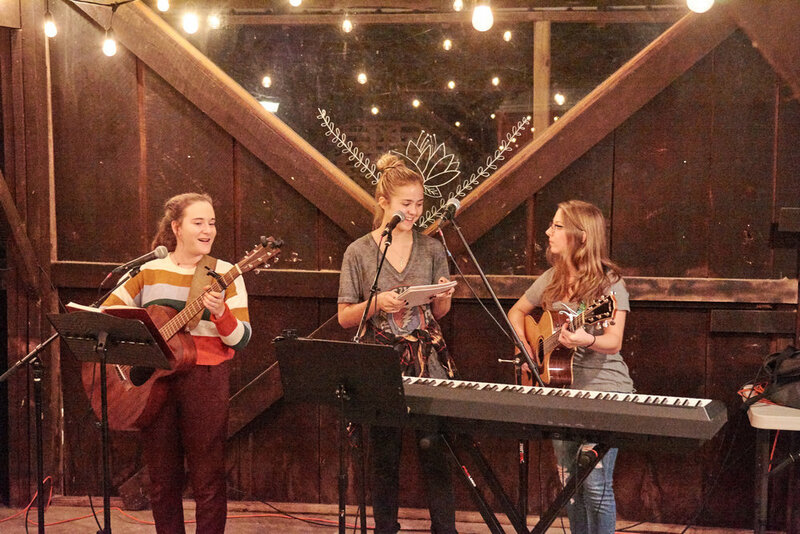 Past retreaters have also had success fundraising, finding local scholarships granted to music and arts education, or having their attendance sponsored. We are happy to fill out forms for any grants you’re applying for after you have been accepted. I was already accepted, but I couldn’t attend for some reason. Do I need to reapply? Once you’ve been accepted, you’ve been accepted to all future retreats. Please send an email to dia@judystakee.com, and we’ll send you an acceptance letter to the retreat you’d like to attend.